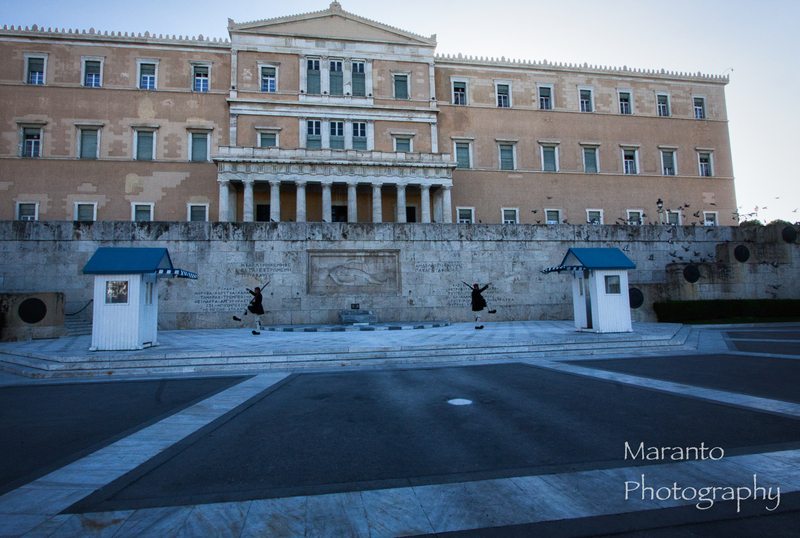 Part of the appeal of visiting Athens is its history. These two photo were taken from Areopagus Hill, the spot where St. Paul is said to have preached to the Athenians of his time. 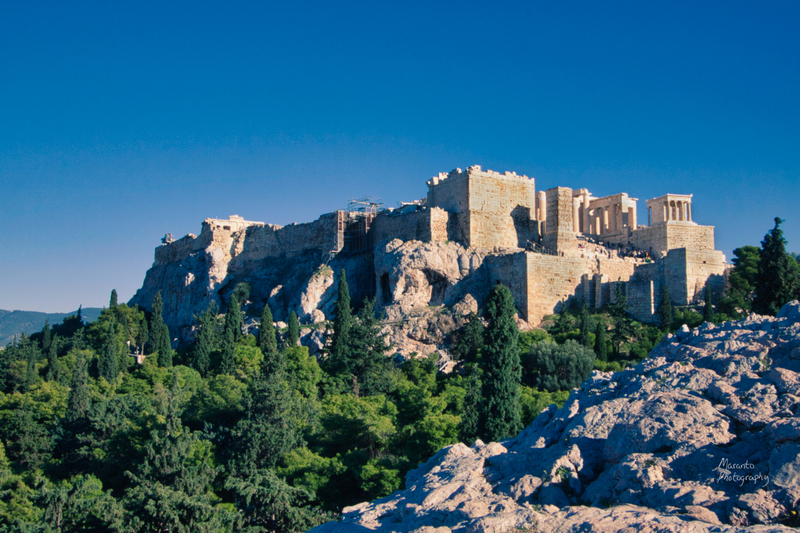 From one vantage point, there are excellent views of the Acropolis. 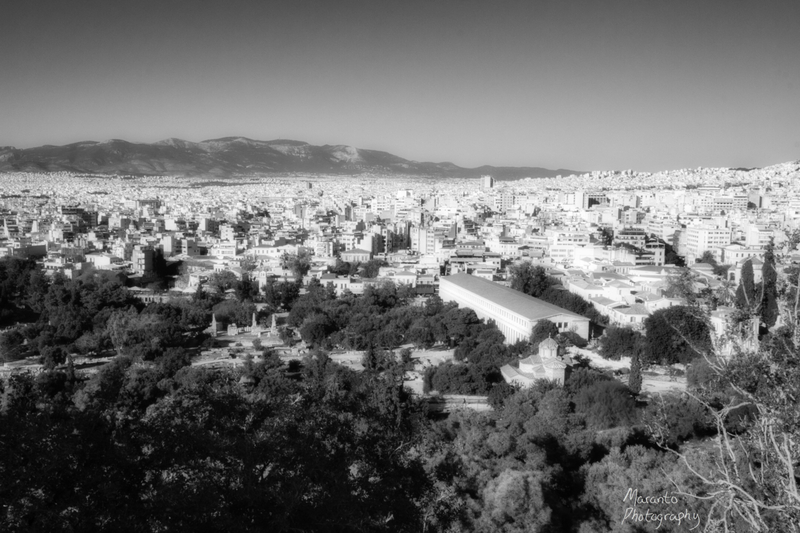 Another view shows the Ancient Agora and the sprawl of the modern city. I liked both views, but was interested in editing them in different ways. 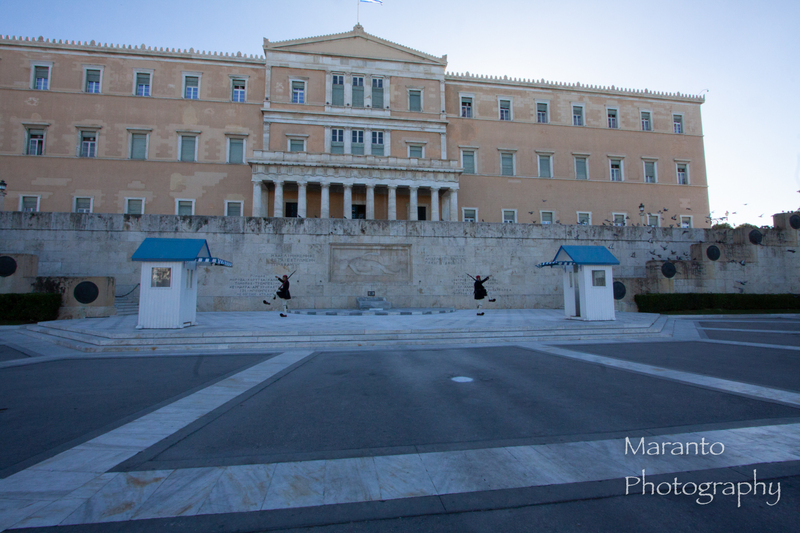 The view of the Acropolis, I wanted to keep in color and retain the vivid feel of that late afternoon. I added a split tone filter that I thought maintained the interesting contrast of colors and accentuated the layers of rock, trees, rock, sky. For the modern city, I was interested in black and white to distill the image a bit, and I have purposely made the whites in the image hazy and glowing a bit to represent the bustle of the modern city. What a view, if you visit Athens I would recommend taking the time to climb this spot. Watch your step though, the rocks are well worn and quite slippery. As for my two interpretations, do you have a favorite? feel free to comment below. Added to Lens-Artist Photo Challenge: Cityscapes. 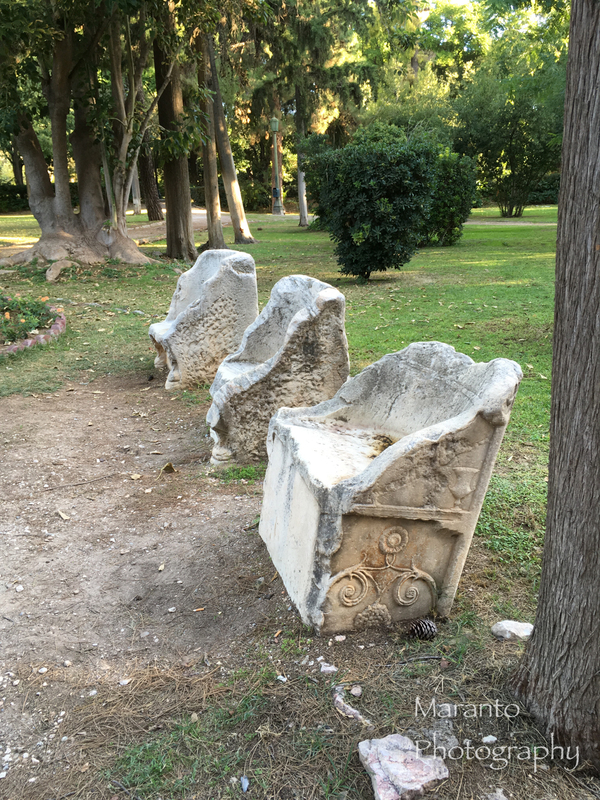 Given the sheer amount of history you are surrounded by in Athens, I couldn’t help but wonder how long these benches had been around, how many people have sat in them? I’ve softened the background a bit, to give the surrounding trees a bit of a dreamy feel. I’ve kept the detail in the seats though, I found the detail on them and their texture interesting. If I had the opportunity, I would probably have shot this a bit differently. The tree in the foreground on the right side is a bit problematic. It’s distracting left in but taken out the first bench comes really close to the edge of the frame. That’s how it goes sometimes though, I only had a moment to take the photo, so I did. I’m glad I did, I like the scene. Do you have photos like this, something that you like but may have shot differently if you had more time? Do you like this is black and white? Feel free to comment below. 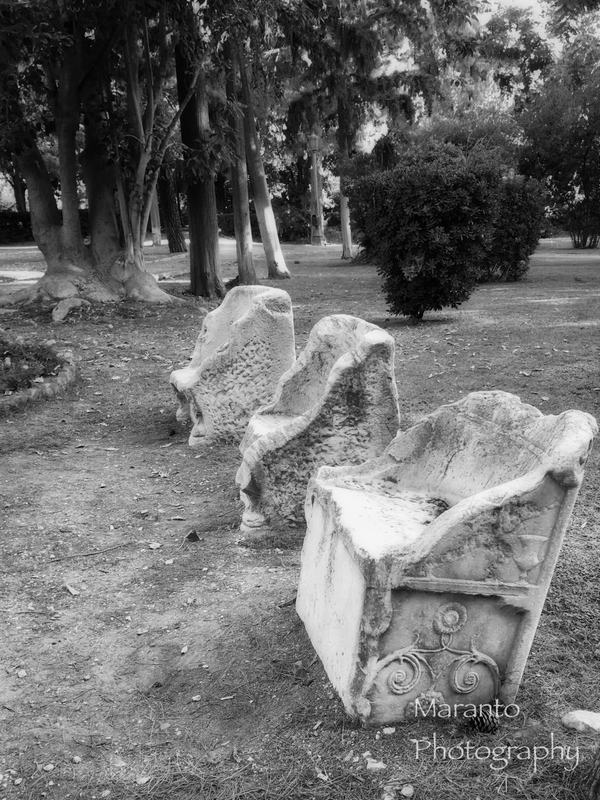 Added to Xingfumama, Pull up a Seat Photo Challenge. This is one of the original exposures that I have from my visit. When I went to edit it, I knew I wanted to retain both the soldiers and the birds which are reminders of life but also I wanted to emphasize the stillness and solemness of death. With my crop I’ve kept things lightly off kilter and I chose a filter in Luminar, called Dark Moon, that I found rather somber. Once I had the filter on I edited it’s settings a bit. Changing the center point of the vignette and also making it a bit lighter. I wanted to leave a still image that has the hint of chaos, a reminder that the path of a country is often littered with sacrifice. Do you think this edit suggests that? Do you like the image or its edit? Feel free to leave a comment below. Added to A Photo A Week Challenge, Reflection and Photo for the Week-15-Paths.